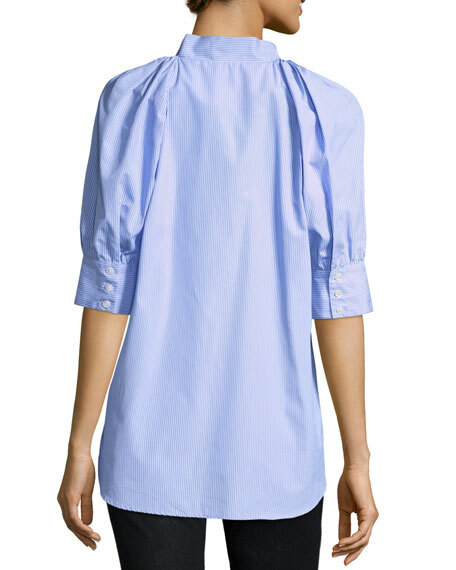 Maggie Marilyn "You lift me up" blouse in striped shirting. V neckline with optional self ties. For in-store inquiries, use sku #2360976.